No, not as in enthusiasts. Not even mechanical fans, either. 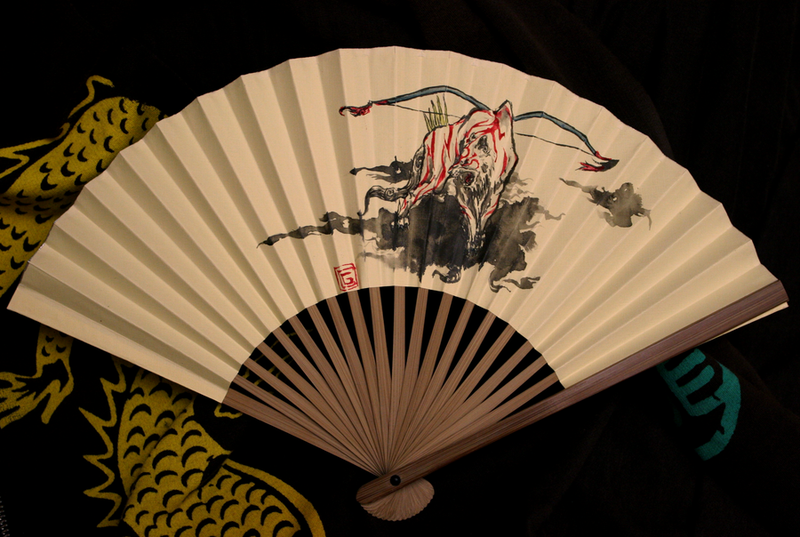 We're talking about video game themed hand fans by deviantART user SarurunKamui—like the Okami one above. Pretty fantastic, right? SarunrunKamui has a bevy of them on deviantART which you should check out, but here are some highlights. You can visit SarurunKamui's Etsy shop here, where you can commission fans.